Transfer/Posting order of Judicial Officer dated 02.04.2019. Result Notification for the posts of System Analyst and Senior Personal Assistant/ Stenographer Grade-II . Viva-Voce/Interview Notification, Provisional List and Admit Card for the Post of Electrician. 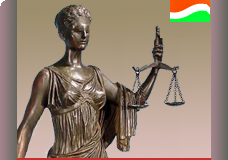 Viva-Voce/Interview Notification, Provisional List and Admit Card for the Post of Judicial Assistant. Viva-Voce/Interview Notification, Provisional List and Admit Card for the Post of Senior Personal Assistant/ Stenographer Grade-II. Interview/Viva-Voce Notification, Provisional List and Admit Card for the Post of System Analyst. Notification dated 18.03.2019 regarding modification of the Answer key of written test for direct recruitment of Judicial Assistant. Practical test Notification & Admit Card for the post of System Analyst schedule to be held on dated 23.03.2019. Revised Examination Notice dated 14.03.2019 for the post of Electrician. Download Revised Admit Card for the post of Electrician. Provisional list & Reject list for the post of Electrician. Notification dated 05/03/2019 regarding Answer Key of Written Examination for recruitment of Judicial Assistant for the Itanagar Permanent Bench, Gauhati High Court. Notification dated 1.03.2019 regarding postponement of Skill test for the post of Electrician. Case Management through CIS 3.0 User Manual.